Oats, Rye and Buckwheat. Corridors within the orchard that are planted with clovers and other legumes contribute to soil fertility and attract pollinators. Prepare a large hole by breaking up the soil and adding plenty of well-rotted organic matter. A wide hole is better than a very deep one. Mulch after planting, and encircle the trunk with a wire cage or protective pipe to protect the young tree from animal and insect pests. 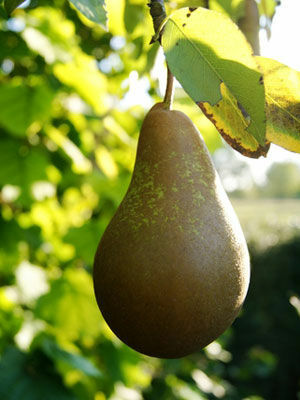 For a large spread, pears can be grown at 30ft (10m) apart.